Need more of "you" to go around? Spend more time with your mini home boss(es) who matter most! These services are all offered by mom business owners--so they totally understand your juggle of kids and clients (they are doing it themselves!) Why not have mamas helping mamas? Approved by The Mama Ladder®, these bright women will serve your business like it was their own. Kristy owns Pack Tax and has worked in the tax industry for 11 years, where she has personally prepared over 10,000 business and individual tax returns. She is a proud mom, stepmom, and entrepreneur, running her own business while three of her five children are still in diapers. She offers a Tax Prep Package. Prepare my personal and business tax returns in 2019 and give me professional tax advice. This includes full preparation of personal AND business returns, as well as a 30-minute consultation with a tax pro who’s completed more than 10,000 tax returns. Available only for U.S. clients. Set up my business' finances in an accounting software. 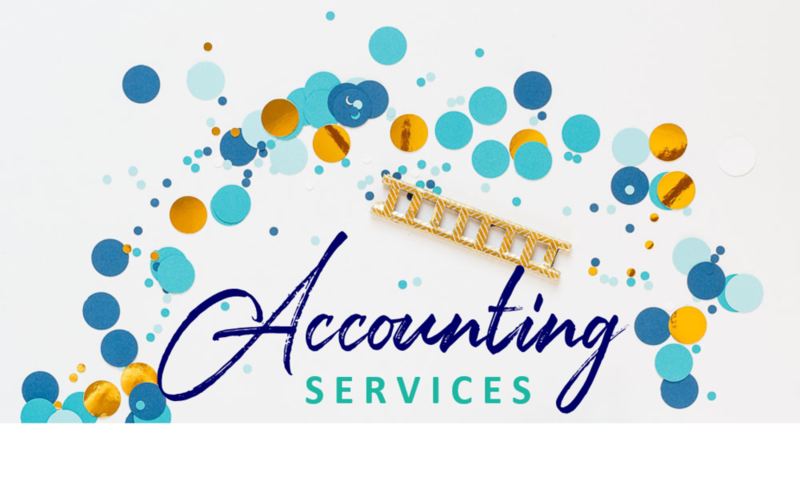 Have a experienced CPA help me organize my books so I can keep track of my income, expenses, invoices, and bills. Teach me what I can take as a business expense. Help me pay my contractors and other bills. Set me up with a payment policy, gather W9 forms for applicable vendors, be the contact person for all my payables. Pay everything and everyone on time, so I don’t have to worry about it! Have a CPA manage my books for 30 days Record my expenses, client payments, reconcile my bank accounts. Let me see my business' profit at any time, giving me better information to grow my business. Increase my brand presence on social media with a 20-second video showcasing my company's products or services. Brand video can also be used on Instagram, YouTube, websites, etc. Help me increase my visibility. Includes professionally written press release to promote your company or event. Additional option for a personal and company bio that can be used for websites, social media, community involvement and outreach opportunities. I want to introduce myself and my brand. A professional bio written by PR pros will distinguish me, revealing what makes my company unique from the rest. The included bio can be used for websites, social media, LinkedIn, etc. Short version is a paragraph (100 words). Long version is a page long (500 words). Graphics creation, up to 5 per week. Do the tricky tech stuff for me! Integrate and automate my email sales funnel. Includes a template for each email (up to 6 emails) **Copy editing not included. Have a lawyer write a legal-savvy Client Agreement specifically for my business. Give me something I can use again and again to work with my clients. Give me legal information from an attorney who knows the online business space. Includes a 30-minute call to get information, and have my questions answered. Give me a beautiful logo and social media graphics to brand my company! This includes three variations to choose from, and then three rounds of revisions to get my logo EXACTLY as I want it. Also includes a social media cover and profile image, sized for Instagram, Facebook, and Twitter. Receive the vector EPS file, high-res jpeg, and transparent background png. We love to help you multiply your efforts, and here's what three Multiply Mama™ clients say about our services. "Starting and managing a business on a start-up budget is HARD! I was getting so overwhelmed that the stress was robbing my joy of why I started Mommi in the first place! When I found Multiply Mama™ I was excited but skeptical the services would be high quality with the affordable pricing, but went for it anyway. I was BLOWN AWAY by the quality of the services offered. These professional women know what it's like to be a mom in business handling 3 kids while taking conference calls. They took away my stress, added amazing value to my business, and helped me feel invigorated again to build something I'm proud of. I'd recommend this package to any mom building her business. Game changer." "While I love what I DO in my business, I don't always love what I need to do to RUN by business. I feel Multiply Mama™ is such an ideal solution. With the multiply concept, it's so much about getting more done in the time we have and creating a community of expertise and support. But it's also about realizing we can't do it all and can learn to ask for help. By "multiplying mama," The Mama Ladder™ has made it easier and a one-stop way to grow our businesses." As a mom of young kids and a business owner, these three things are invaluable to me and I never have enough of them! Enter Multiply Mama™. These brilliant ladies are experts in their specific fields, prompt in their response time, and so pleasant to work with. They give me more TIME as they clear and complete tasks from my plate and do it well. They give me more KNOWLEDGE. I no longer have to research and study every new thing. I can lean on their expertise and learn from them! They give me more HANDS!! Hooray! I literally have 10 more pairs of hands working on my business now! But even more than getting work done, there is a sense of empowerment and boost in confidence from knowing you are backed by a team." Q. What if I want to use more than four services? A. It's quite a tasty services menu, isn't it? You can use the full menu (16 services), which we call “THE WHOLE SHEBANG” for $3,999. This saves you THOUSANDS of dollars when you look at how much these cost individually. Email our Program Coordinator Lindsey at lindsey (at) themamaladder.com if you’d like this option and you’ll have it! Q. How long do I have to use these services? A. When you sign up, team members reach out to you within three business days. You'll coordinate directly with them. Your services must be used by December 31, 2018. Q. What if I need different services than what is available? A. The services described above are the only services available through the Multiply Mama™ Dream Team. You are welcome to reach out to these team members directly through their own websites if you need a customized service. Let them know you found them through Multiply Mama™! A. To reserve your services, you need to pay the entire $1,499 up front. If you’re doing the #MamaSpringBreak offer (yay you! ), you can do two payments of $1,599. Q. This is such great exposure for these businesses ... how can I partner with you to be ON the Multiply Mama™ Dream Team myself? A. We're not accepting new team members at the moment, but plan to open applications to be on the team in 2019. The best way to know when this happens is to join our email list ... because we give our insiders all the sneak peeks! Q. I'm not ready for help this quarter ... will you be opening up Multiply Mama™ Dream Team in the future? A. The team opens just twice a year, so this is your chance for the next six months. Put your email below to be first to know when we re-open. We're opening our services again in Fall 2018. Sign up to be first to know when we're available! Thank you! You'll be in the know about all things #MultiplyMama. We appreciate your interest.